Why do dogs sleep like this? Discussion in 'General Dog Forum' started by JudyN, Feb 7, 2019. This is a characteristic sleeping pose for Jasper. 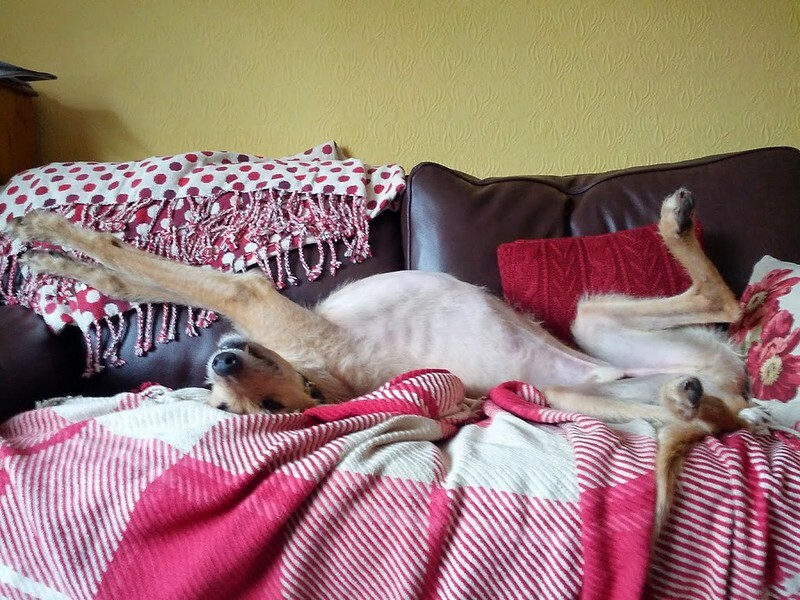 Is it a lurcher thing? Is he trying to keep his ears warm or stop any spiders crawling in, or his brain falling out? I could understand it if he just did it when OH was watching action movies or I was singing but he'll do it when it's quiet too. Anyone else's dog do this? JenniWDog, Janer, Jack-Russell-Lover and 5 others like this. JenniWDog, Janer, Jack-Russell-Lover and 3 others like this. Flobo, Janer and Ari_RR like this. Den also blocking spider attacks but to the eyes ..
Flobo, Janer, Jack-Russell-Lover and 2 others like this. 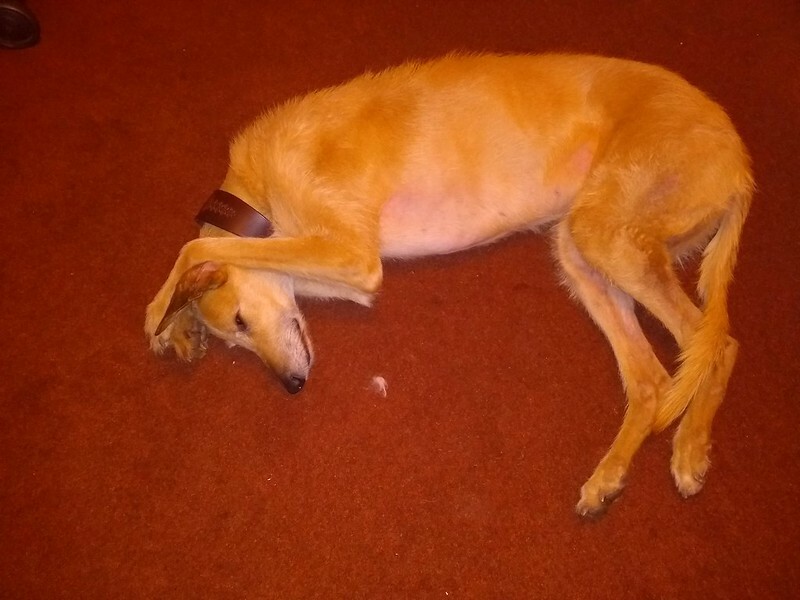 @Caro Perry , the roach is very much a lurcher thing too! Flobo, Janer, Jack-Russell-Lover and 5 others like this. Diesel has many weird sleeping poses. As long as he’s snuggled up to me or DM he doesn’t seem to care! Benny used to curlup in enclosed spaces his house or the armchair were good for him. Murphy tends to sleep on hisback like many stabijs do. Ari_RR and Whippylove like this. Rolos favourite sleeping position he sleeps like this all the time whether there's room or not! Janer, Jack-Russell-Lover, Ari_RR and 2 others like this. Janer, Ari_RR, JudyN and 1 other person like this. 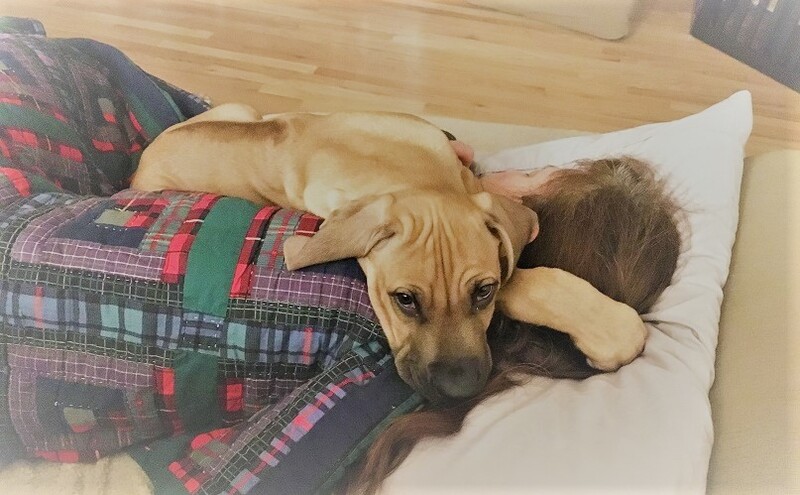 My dear boy Ari needed his personal space, and preferred to sleep alone. This picture still puzzles me, after all those years - he was probably 80-90 lbs when it was taken, where is the rest of the body?? What will happen when he grows up? Stay tuned we shall find out soon enough! Flobo, WildeM, Whippylove and 3 others like this. Flobo, Janer, Jack-Russell-Lover and 3 others like this. Jasper does that second one of Misty too, @Sezzy! Janer, Jack-Russell-Lover, Sezzy and 3 others like this. Ari_RR and JudyN like this. A few of diesels snoozy moments. Janer, Jack-Russell-Lover, Whippylove and 2 others like this. Janer, Jack-Russell-Lover, Biker John and 2 others like this. Diesel's Dad, Josie, Janer and 1 other person like this. I know he's not a dog but my 'special' boy Sid likes to sleep, um, anywhere! 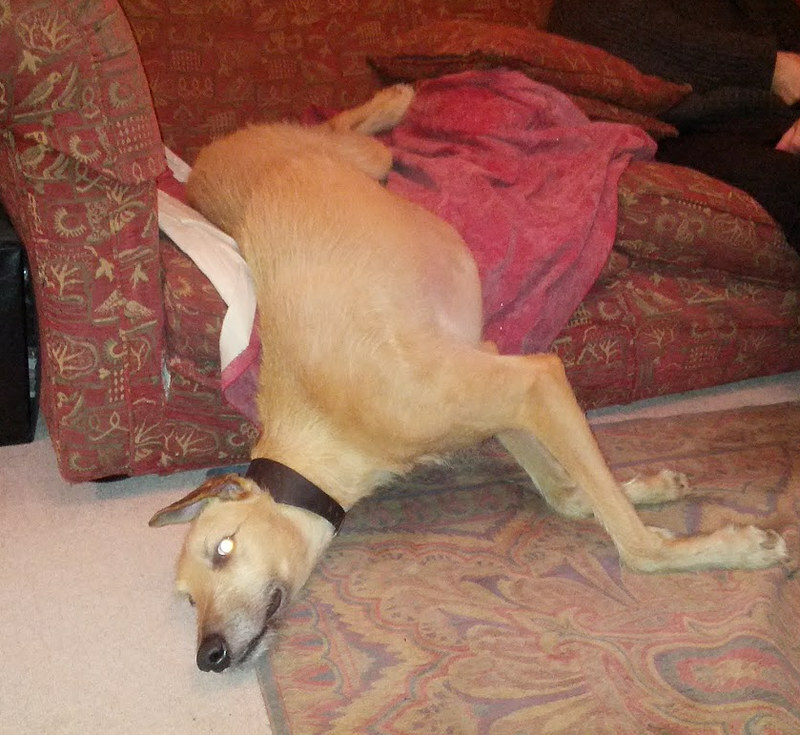 It was seeing the lurchers melting off the sofa just reminded me of my ferrets! Janer, WildeM, Ari_RR and 2 others like this.